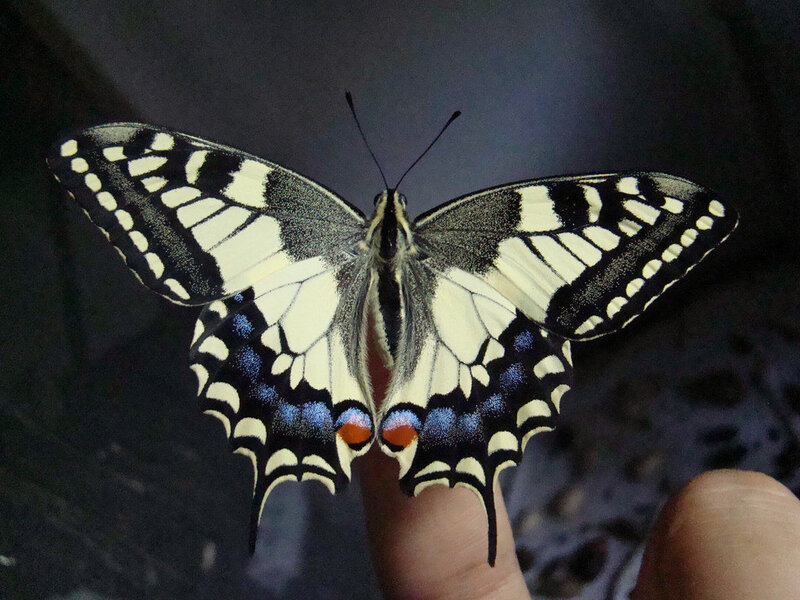 Papilio machaon — “Old world swallowtail” | Welcome, visitor! Papilio machaon, the old world swallowtail, is a species of swallowtail that occurs in Europe, Africa, Asia and even North America (paradoxally so because it’s name referring to the “old world”). Like the other species in the machaon-complex, it prefers to lay eggs on Apiaceae plants. 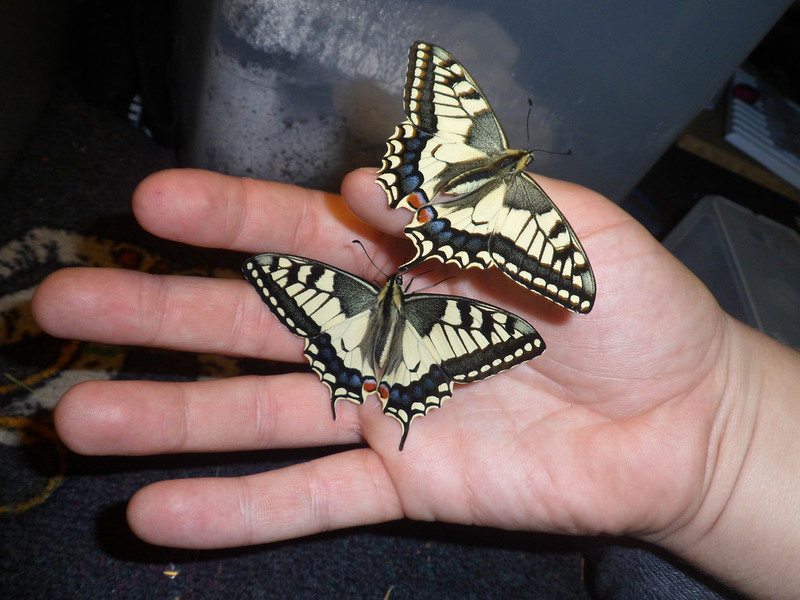 It is a medium sized swallowtail that is relatively easy to rear and breed in captivity. Host plants: Apiaceae (Foeniculum, Anthenum, Pastinaca, Daucus, Petroselinum and many more). Interestingly also Rutaceae in rare cases such as Ruta sp. This Papilionid utilised host plants of mainly the parsley family (Apiaceae) – including fennel (Foeniculum), dill (Anthenum), parsnip (Pastinaca), carrot (Daucus), parsley (Petroselinum) and more. Many of the host plants are considered herbs or vegetables and are widely available for human consumption in grocery stores. Be aware of insecticides/pesticides when using host plant that is commercially grown. Plants from the Ruteacea may also be accepted, like Rue (Ruta graveolens). The caterpillars start out as predominantly black with a single white stripe, but as they grow they gradually become more colourful. The final instar is green, covered with black stripes and orange dots. They are quite easy to keep in captivity, if one rule is taken into consideration: the caterpillars don’t really tolerate being reared in boxes. They need to be able to free-roam om the host plant. Potted plant is best for this. This applies to all Papilio’s in general: they must be reared freely on a healthy plant. Papilio machaon overwinters as pupa. The pupae may be green, grey or brown. This specie has usually one generation per year although more may occur if the temperature allows it. Hi There. Do you supply/sell moths butterflies etc.? Happy to pay via pay-pal if we can work a happy deal. Looking for a breeder UK anyone know ???? ?